Do you feel like your home maybe looking a little dull and is in need of a new life? If the answer is yes then you are in the right place. Something so simple as going down to the local DIY store and picking up a pot of paint can really do wonders for your home, not just for how it looks but also how it feels. Some people don’t know their paintbrush from the paint pot but fear not! Keep reading and you’ll soon be ready to take on the challenge to breathe new life into your home! The key to making the final finish look good is all in this stage. The saying “preparation is everything” still holds true and you should definitely follow that advice. I’m not talking about laying out your equipment and getting straight to it. You should be stripping walls and sanding out all the lumps and bumps to ensure a smooth finish. Fill in any holes that may have been caused buy things such as picture hooks, fixtures and fittings with a filler and wait until it is completely dry before you continue. Make sure you protect the floor with dust sheets and all furniture is covered up. Once the preparation is finished you can then move onto the fun part. Okay, so you have just done all that preparation and I bet you’re dying to get started, correct? Good, at least you have a positive attitude towards it but calm yourself! You can’t go diving in to this spreading paint in every direction covering as much as you can. You should be taking your time working from top to bottom ensuring you are neat around the edges. You can buy decorating brushes that can help you with this from any good DIY store which will make your job a little easier but a good tip would be to use some masking tape around the edges just to add a little more protection if you feel you don’t have a steady hand. 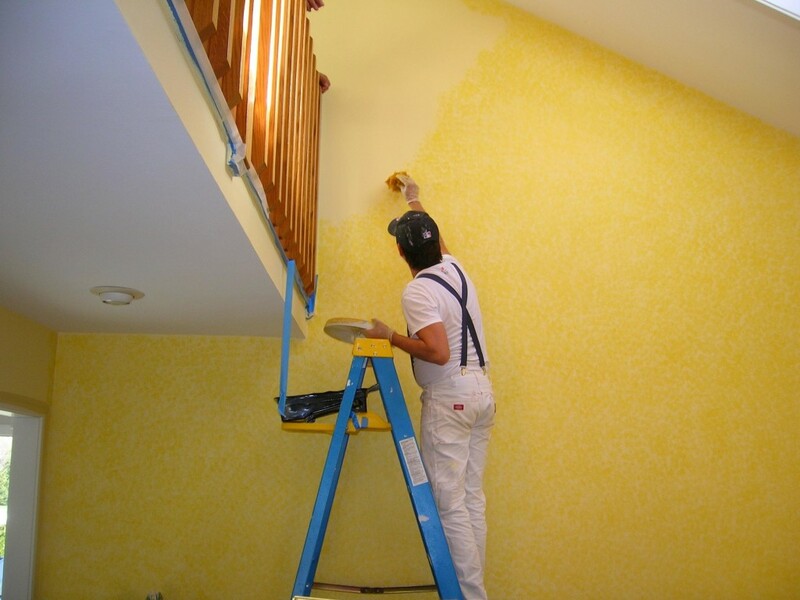 Ensure you apply an even spread of paint across the wall otherwise you could end up having two different depths of color and no one wants that! It will stand out like an eyesore and could ruin the environment feel you are looking for. If you have to apply a second coat then make sure you wait until the first one is completely dry, normally after a few hours. Don’t run away from me at this point! Nobody likes the clean up after painting, not even the professionals but it needs to be done. I would buy some paint brush cleaner and get your brushed soaking in it right away; you should be able to reuse your brushes again and again if you look after them properly. This part really winds me up, you need to put your lids back on your paint pots correctly and ensure they are secured! I see it all too often when people just place them on and the paint starts to dry in the pot and when something bad happens, your wall gets scratched, you go to do a little touch up and boom! Your left over paint is ruined, they no longer stock that color and you now have to come up with a solution. Once you have been smart and looked after your brushed and secured left over paint just pull up the dust sheets and enjoy you room with a new lease of life! This article is provided as a joint effort between WL and Hughes and Hilton.